The Stellenbosch University Choir left for Riga in Latvia on Sunday (6 July) to participate in the World Choir Games and defend their title as the top choir in the world. The World Choir Games will take place from 9-19 July and the choir will participate in three categories: Musica Sacra (sacred music), Mixed choirs and Spiritual. The choir is specifically looking forward to participating in the latter category, says conducter André van der Merwe. According to him the choir feels pressure to perform as they are the number 1 choir on the Interkultur rankings (Interkultur organises the World Choir Games). The SU Choir performed at the funeral of Prof Russel Botman, Rector and Vice-Chancellor of SU, on Saturday (5 July) and is dedicating this tour to him. The World Choir Games, dubbed the Olympics of choral music, is the largest international choral competition in the world and takes place every two years. This will be the fourth time that the SU Choir, conducted by Mr André van der Merwe, will be participating in the World Choir Games. At the 2008 competition held in Austria, the SU choir was named world champion in the Musica Sacra category and also achieved second place in the category Gospel & Spiritual. In 2010 in China, the choir won the title Choir of the World and was also named world champion in the category Mixed Choirs and Musica Contemporanea. At the World Choir Games held in Cincinnati in the USA in 2010, the choir was placed in the first position on the Interkultur world rankings. They were also the winners in two categories: the best mixed choir (male and female voices) and Musica Sacra (sacred music). They won second place in the category popular music. 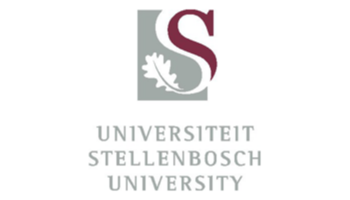 You can leave a message of support on Facebook http://www.facebook.com/StellenboschUniversityChoir, or follow the choir on Twitter at @USChoirKoor or #WCG2014.